Sharjah Investment and Development Authority or Shurooq managed to make the most of the World Travel Market (WTM) 2016, which was organised in London from 7th November to 9th November, to promote the mega development project of Sharjah, ‘Mleiha Archaeological and Ecotourism Project’. Shurooq participated in the fair from the pavilion of the Sharjah Commerce and Tourism Development Authority, where they pointed out about the cultural legacy and the treasures left in the Mleiha Archaeological and Ecotourism Project area by the successive civilizations over the past decades. The tourism industry professionals present in WTM were also informed about the ecological diversity in the same area, which makes it very adventurous and entertaining for the adventurous travellers and nature lovers. Shurooq also managed to conduct successful high-profile meetings, led by the CEO of Sharjah Investment and Development Authority, His Excellency Marwan bin Jassim Al Sarkal. Through the meetings, Shurooq managed to spread the words about the various investment opportunities in the travel and tourism sectors of the country of Sharjah. The Chief Operating Officer of Shurooq, Ahmed Obaid Al Qaseer informed that London’s World Travel Market was an exceptional tourist event that brought together more than 50,000 experts and exhibitors from across the globe to discuss the latest developments on the global travel sector and to explore strategic partnerships and prospects for future collaborations and it also offered an excellent platform for travel and tourism professionals to promote the very best attractions in their own countries, including leisure and medical tourism, family tourism, shopping and business tourism, and much more. He added that their participation in WTM was a major success as they managed to capture the attention of visitors to the Sharjah pavilion’s and present the Mleiha Archaeological and Ecotourism Project. According to Ahmed Obaid Al Qaseer, the response was highly impressive and the feedback they received was a resounding success. 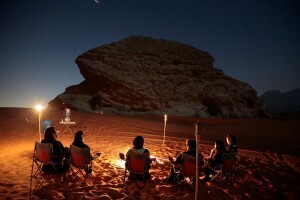 He also informed that Mleiha offers quad biking, dune buggy riding, mountain climbing, walking and cycling trips, gliding, and skydiving among many other activities that suit all family members or alternatively, they can simply enjoy the dramatic landscape in calm and relaxed atmosphere.